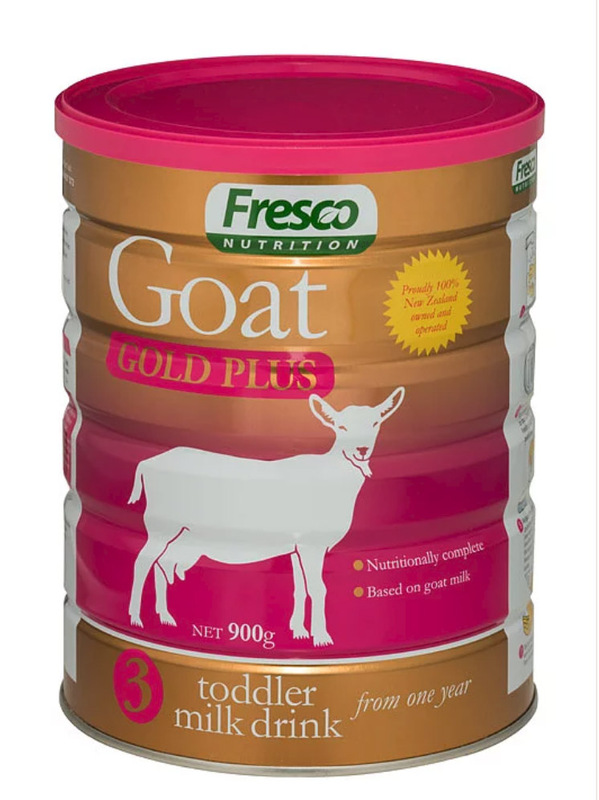 Fresco Nutrition Goat Gold Plus Toddler Milk Drink is specially formulated for active toddlers aged from 1 year whose regular diet may need supplementation to support their development and growth. Based on goat milk, and enhanced with essential vitamins and minerals. Enriched with fish oil as a source of DHA. Naturally A2 protein for easier digestibility, and may help alleviate allergic reactions and dairy sensitivity for some babies.